Hello everyone! Now I was a little hesitant to write this weeks LOTW because sadly it is no longer on fragrance direct and there isn’t a great deal of variety on eBay or Amazon :( The reason why I’m sad is because I really like this line, the Manhattan Soft Mat Lipcreams and they’re essentially dupes for the NYX version - which are unethical! It annoys me SO much that L’oreal bought NYX a few years back, making the brand unethical…but anyways onwards and upwards. The Manhattan brand are based in Germany I believe which is probably why not many people have heard of them and when I discovered them on Fragrance Direct for the great price I had to pick one up. I liked it so much that I went and purchased a couple more, so the only reason I’m actually writing this is in the hope that it’s not been discontinued and if you do stumble across it one day you’ll have an idea of what to expect! Price: I believe this was £1.99. Yup. SUCH A BARGAIN. Colour: This particular shade is ‘56K’ and its a medium bright pink shade. Alone it looks okay on me but I know it would suit fairer and deeper skin tones a lot more. Formula and Lasting time: The formula is creamy, soft and almost velvet-like. It is very very comfortable to wear on the lips and it doesn’t dry down completely. 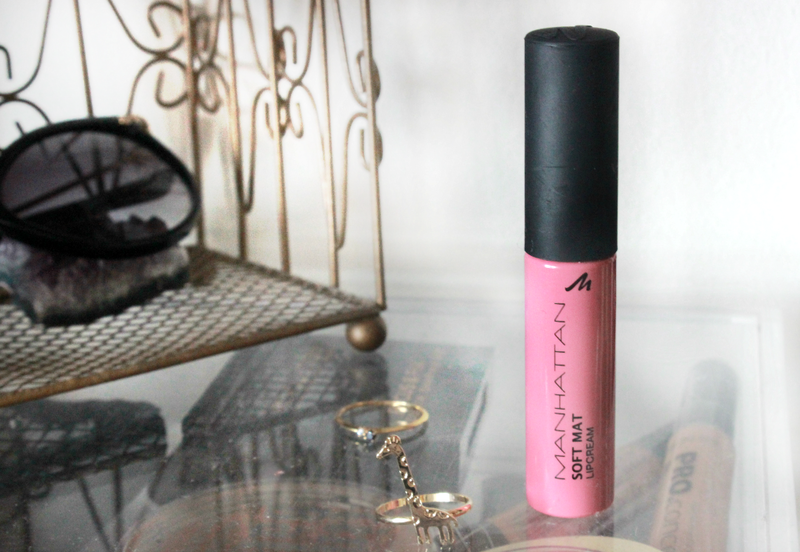 Although it is not entirely transfer proof, it does last a decent amount of time on the lips. Alone probably 3 hours and mixed with a lipliner a good 4/5 hours at least. It doesn't feather or bleed which is great. The only thing I'm not crazy about is the slightly tacky texture which I can feel on my lips when I press them together, which y'know isn't something I do regularly but still! 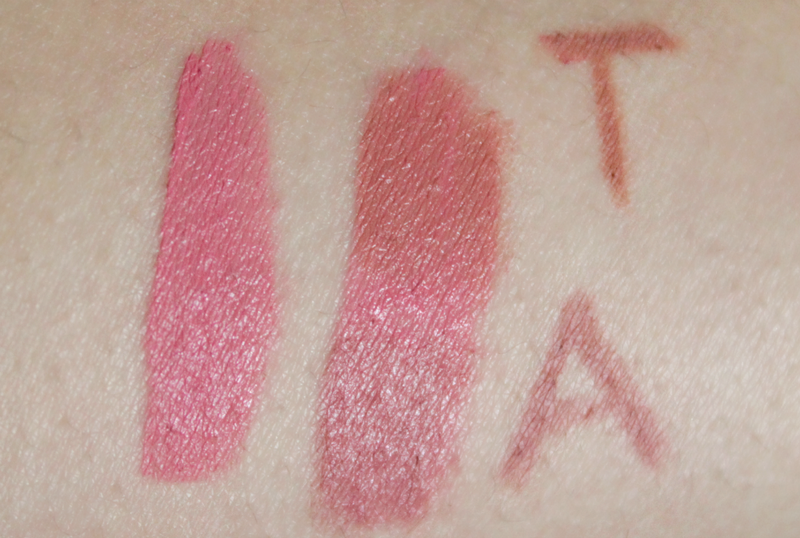 Favourite way to wear it: I don’t love the pink shade alone, so of course I go in with my trusty Rimmel lipliners. The shade Tiramisu is one I talk about often on the blog because it is a firm favourite as far as neutral liners are concerned. Tiramisu, as you can see in the above swatch makes the pink lean more towards a ‘my lips but better’ shade and the beauty of the ‘soft matte’ formula is that any lipliner over the top applies smoothly. You must give it at least a minute to dry down as much as possible though, because otherwise it’ll slip and side under the liner. The second Rimmel shade I’ve enjoyed used is ‘addiction’ which is more of a mauve shade and transforms the colour into a cooler shade. 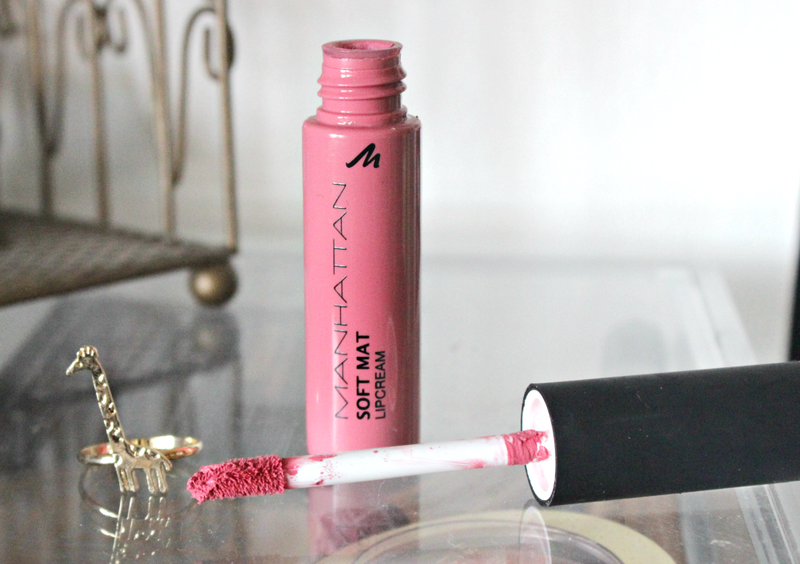 Overall: I have really enjoyed this weeks lippie, whilst I did have to use a separate lipliner to get it to work well as I did with the liquid lipsticks, the formula of this made it so much easier to do and a whole lot more comfortable to wear too. I would love to pick up a few more neutral shades and I will be on the hunt for this brand in the summer because I need more in my life! The doe foot applicator also makes the application super easy. Available from: Search amazon and eBay. Keep an eye out on FragranceDirect.com. *UPDATE* A lovely reader has let me know that these are available at poundworld! So if you happen to be passing them, check these out!